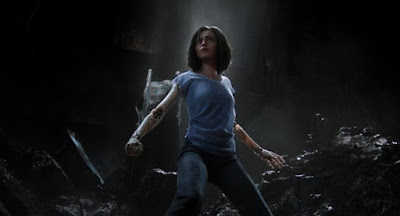 comes from James Cameron and Robert Rodriguez and has Rosa Salazar playing the powerful cyborg but her face has been rendered with CGI to give her the specific look. 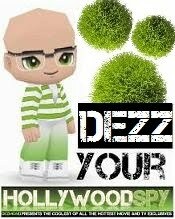 The movie comes out next July! Alita will discover she's a battle angel next July! injustices of this dark, corrupt world, and discover that one young woman can change the world in which she lives. I can't tell yet if it interests me or not. 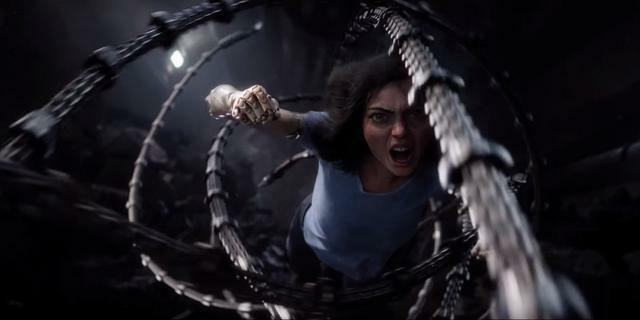 You know I don't care for sci-fi but it does have that odd element that I like. 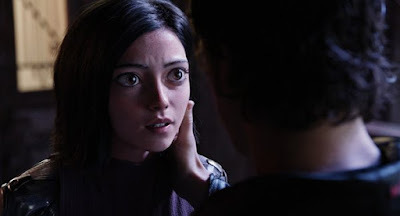 Alita is an interesting-looking character. 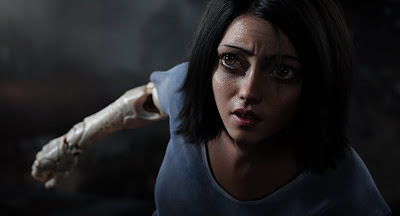 The skin looks human but the face and eyes look odd.